Photomontage by Denise Buisman Pilger, "Le Plateau Mont Royal"
Thursdays at 4:50 p.m. & Fridays at 7:55 a.m. Arts patron Sharon Besso of Windsor suggested Windsor Public Library Swing Dance Fundraiser on Saturday, October 26th on Court Street in Winsdor. The dance will feature the 19-piece all-female swing band, The Mood Swings, hailing from Boston, along with swing dance lessons prior to the band performance and foods donated by local eateries. Dutch artist Denise Buisman Pilger has a solo show and book launch at Viva Vida Gallery in Point-Claire, Montreal, featuring her photo-montages, called Discoveries: Montreal. The opening is Friday, October 25th and the exhibit runs through November 7th. Peter Regnier suggested taking in the original black-and-white film, "The Phantom of the Opera," at The Strand Theatre complete with accompaniment by Jonathan Ortloff on a Wurlitzer organ--one of just 22 left in the entire United States. Mary Abar from Williston recommended Women on the Darker Side concerts, featuring local performers like Kat Wright, Abbe Jenny and Antara at Higher Ground on Friday, November 1st as part of its First Friday concert series and Saturday, November 2nd at 10:30 p.m. at the Montpelier location of Positive Pie. Plus, the Windham Foundation brings Smithsonian Art Museum curator Eleanor Jones Harvey to the White Church on Main Street in Grafton with a lecture called, "The Coming Storm: Civil War and American Art" this Thursday, October 24th at 6:30 p.m.
We're always looking for suggestions for upcoming arts events in the region, including on-going exhibits. Share yours! Become an Art Hound for VPR. Click here to get started then call the Art Hounds Hotline at (802) 778-9585 to record your recommendation. Art Hounds' theme music in the on-air episode is written and performed by Trio Gusto with Mike Martin. 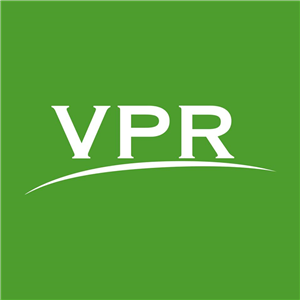 Art Hounds on VPR is adopted from Minnesota Public Radio News and is powered by the Public Insight Network.